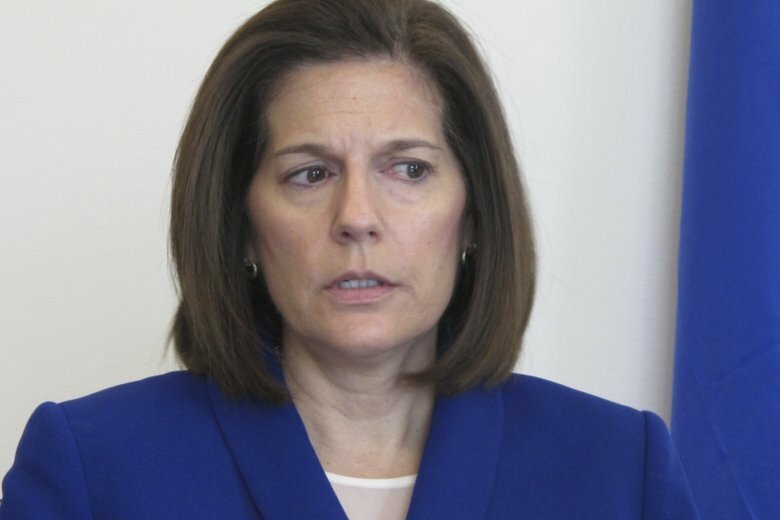 CARSON CITY, Nev. (AP) — Sen. Catherine Cortez Masto says Energy Secretary Rick Perry has committed to expediting the removal of weapons-grade plutonium it secretly shipped to a site in Nevada last year if she agrees to stop blocking appointments to vacant positions in his department. But it’s not clear how soon that could happen or where the radioactive material that’s currently scheduled to be moved to New Mexico by 2026-2027 would go in the meantime. “We had talked about a three- to five-year period. But I’m waiting to see what I have in writing,” Cortez Masto, D-Nevada, said. The state of Nevada has asked the 9th Circuit Court of Appeals in San Francisco to order the government to remove the plutonium from a site north of Las Vegas while it considers the state’s appeal seeking to overturn a ruling by a U.S. judge in Reno refusing to issue a temporary injunction banning the shipment of any more of the material to Nevada. “I made it very clear that what I was looking for was something in writing that ensures, one, that they do not ship plutonium here ever. No more plutonium ever comes to the state of Nevada. And a commitment for a time frame when they will ship this out,” the senator said. “We had a very good, cordial conversation. He felt that and said he could give me that commitment. So we left the conversation with both of us agreeing to have designated staff work on the written letter, and we’ll go from there,” she said. Over the objections of Nevada, the Department of Energy approved a plan last August to ship the material from South Carolina to the Nevada National Security Site north of Las Vegas for staging before it moves on to another site in the government’s military nuclear complex. The Energy Department said in a letter to then-Gov. Brian Sandoval in November that the Department of Energy expects to move the material from Nevada to Los Alamos National Laboratory in New Mexico “or another facility” by the “2026-2027 timeframe.” But Nevada officials have said they fear that won’t happen and the material will remain in Nevada indefinitely. Those fears were magnified in January when the Department of Energy disclosed for the first time it already had shipped a half metric ton (1,102 pounds) of the plutonium to the Nevada site sometime before November. The agency said it did not intend to transport any additional material to that site, but didn’t say where it would go instead so as to comply with the court order. Hynes confirmed in an email to AP on Thursday that Perry contacted Cortez Masto directly last week about the status of the plutonium. “That discussion continues and no agreement has been reached,” he said in an email to The Associated Press. Sonner reported from Reno, Nevada.